Possibility to spend the night at Osaka airport (KIX), if open 24 hours. Services available, places to rest (free resting zones), or look for the list of nearby hotels and vip lounges..
Osaka airport is open 24 hours a day, but keep your ticket handy in case the security staff asks you for proof of onward flight to let you stay inside the enclosure. Where to rest: There is a large number of benches with no armrests inside Terminal 1. In addition, next to the convenience store of the second floor you can find padded seats. The nearby information desk will provide blankets. Inside Terminal 1 there are also several VIP lounges, one of which is open around the clock. 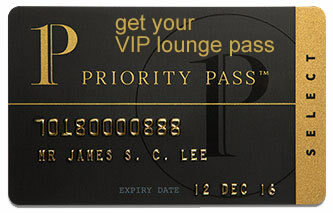 SEE VIP LOUNGES If you rather check into a hotel, there are two of them in the Aeroplaza. Baggage: In addition to left luggage services, there are lockers where you can leave your bags. Eating and drinking: There are some options that open 24 hours a day in Terminal 1 and the Aeroplaza. Restrooms: Showers available on the second floor and inside some of the VIP lounges. Other services available around the clock: ATMs, currency exchange bureaus, convenience stores, children's play areas, baby changing facilities. The Hotel Nikko Kansai Airport (Tel +81 724 551 117) and the First Cabin Kansai Airport (Tel +81 724 565 526) are found inside the Aeroplaza. Other accommodations in the surroundings provide shuttle services to and from the airport. Kansai Airport Washington Hotel (Tel +81 724 612 222), Star Gate Hotel Kansai Airport (Tel +81 724 601 111), The Premium Hotel (Tel +81 724 587 300), Hatago Inn Kansai Airport (Tel +81 724 589 011), Tsuwaya (Tel +81 724 647 396), N Gate Hotel Osaka (Tel +81 724 667 755), Mimatsuso (Tel +81 724 620 961), City Hotel Airport in Prince (Tel +81 724 632 211).